February 2012 – Kitmeout Designer Clothes – Fashion Blog & Fashion Forum. MELTIN’POT SPRING-SUMMER 2012 from MELTIN'POT on Vimeo. Following on from the ‘Where Life Takes You’ FW11 campaign, Italian denim label Meltin’Pot launches its new SS12 collection with an energetic video capturing the free spirit of summer: TUNE INTO SUMMER. Wherever you are, no matter the weather or what part of the world you live in, the summer mindset is within you. It’s like rediscovering your sun kissed pictures from last summer, and reliving those moments amongst likeminded friends. You’re instantly filled with the fun, joy and laughter of those moments. Your free spirit takes over, and you’re ready to take the world by storm. 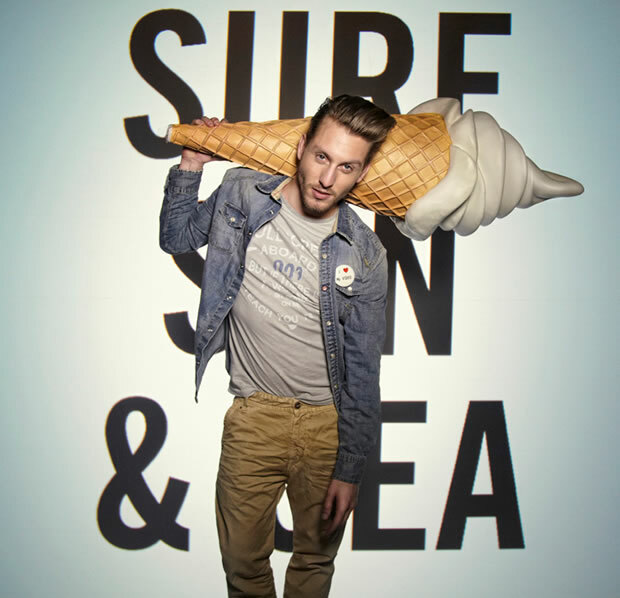 The video showcases Meltin’Pot’s true denim colours, and oozes an everlasting summer spirit. The SS12 key looks are featured against a concert backdrop starring budding band Melomanics. With the Spring Summer 2012 collection Meltin’Pot’s exciting journey continues. The new Meltin’Pot collection boasts fine examples of significant product development, the results of sophisticated research, which has always been part of the brand’s DNA. These accomplished aspects are highly visible not only across the celebrated MP001 Utility Section that has a continuative yet extremely innovative denim soul, developing its iconic appeal through new textures, treatments and colours, but also across the Workshop range, together with a Yacht Master Inspiration. Original workwear designs are updated and revisited in a more than a vintage attitude: these work inspired jeans recapture the original magic of denim and the “good old days”. The Yacht Master collection is about a way of life with the look of a boyish, new, modern dandy, who moves with style and sophistication in an urban backdrop. A trailblazing pirate type who plays between city streets and exotic spots, he’s a trendsetter in versatile clothes: Jeanswear leads to sartorial experimentation. The Meltin’Pot woman’s collection is an exclusive and ultra-feminine interpretation of the Meltin’Pot man’s denim world, perfected in fit and washes however for women and infused with cutting fashion edginess – giving an alluring appeal to the women’s collection this spring summer. The website has a brand new look and feel for SS12, and is full of new season energy. You can tune in to Meltin’Pot from home whenever you feel like it, and with free shipping for a limited period. There is no excuse not to renew your wardrobe with some Meltin’Pot summer spirit. RMC Jacket in a Toy! Take a butchers! RMC Toy comes with either a red or white jacket inside, limited quantity. 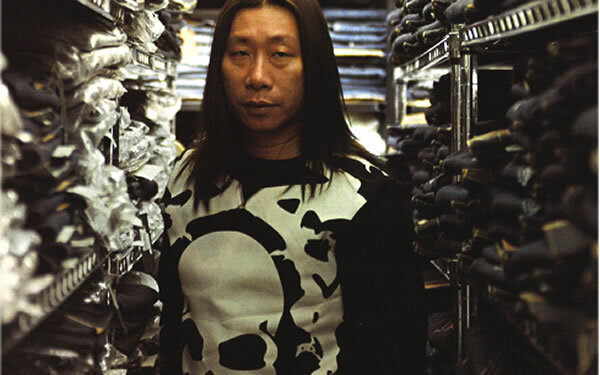 Looks like something for the fashion connoisseur. 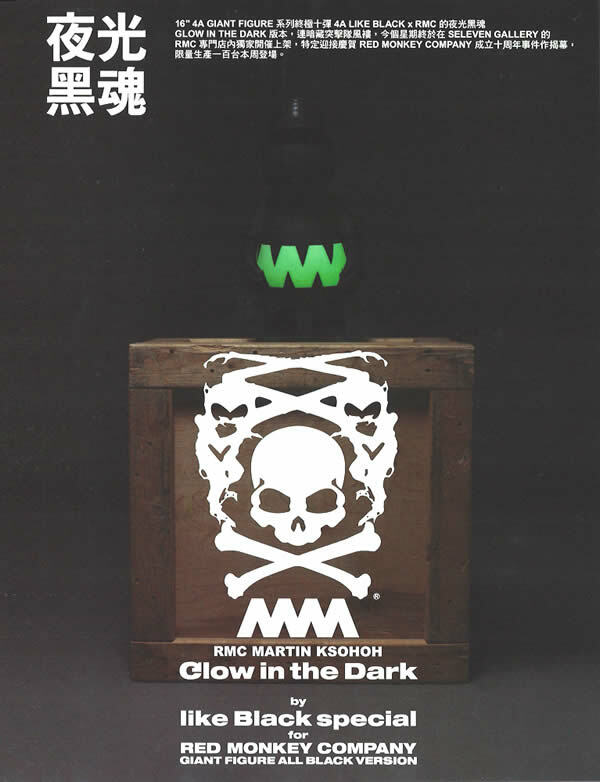 These RMC X LIKE BLACK 16″ Glow in the Dark FIGURINES will be available soon. The toys were designed so that the upper-part of the head screws off and limited edition Jackets is placed inside.